AUSTIN, TX — March 20, 2018 — Mushkin Enhanced MFG, an industry-leading designer and manufacturer of high-performance computer products, is announcing the Mushkin Source Series, a new line of solid state drives (SSDs) for the retail, e-tail, system integrator, and channel markets. The Source Series features a powerful, yet cost-effective design suitable for a wide-range of applications. Source SSDs are ideal for mainstream computing – from gaming desktops and notebooks to mini-PCs (NUCs) and everything in between. Offered in 2.5” and M.2 2280 form factors, the Source Series is an excellent choice for almost any system. Source SSDs are available in 120GB, 250GB, 500GB and 1TB capacities and can achieve max sequential performance of up to 560MB/s read and 520MB/s write. Each Source SSD is protected by M.E.D.S. (Mushkin Enhanced Data-protection Suite) ensuring valuable data is protected and is backed by a 3-year warranty to ensure peace of mind. 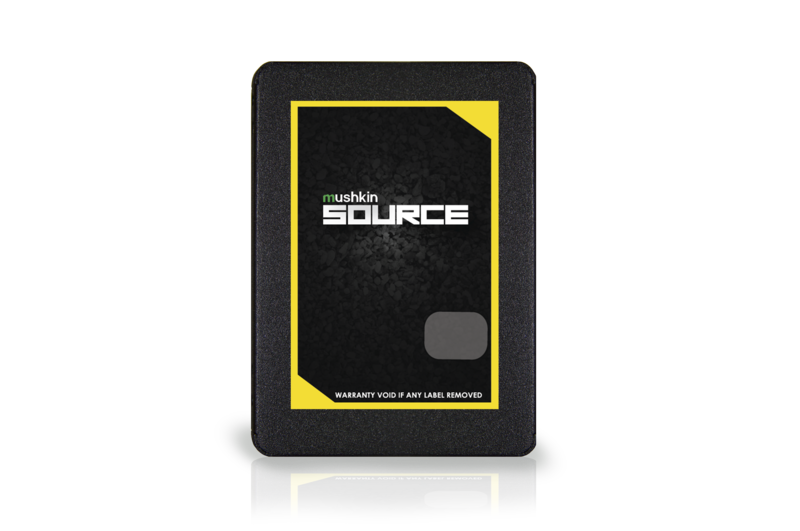 Mushkin 2.5” Source SSDs are available now at Newegg.com, Amazon and other online retailers. The M.2 version is scheduled for release in April 2018. For over 25 years, Mushkin has been dedicated to helping gamers, digital artists, IT managers and professionals alike enhance their computing experience by providing reliable, high-performance products. Mushkin’s products include a complete selection of USB, SSD and memory module upgrades for both the consumer and enterprise industries. Since the company’s founding in 1994, Mushkin has received numerous awards and commendations for quality, reliability, and technical excellence.